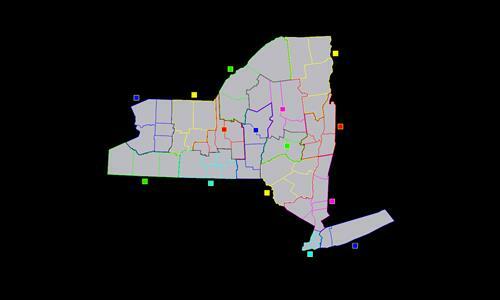 New York state, divided into 57 counties and 15 regions. Review by The Vision on 11/11/2013. Review by armytad on 12/23/2014. Good for beginners, and for showing people how to play. Review by YellowEwan on 1/23/2015. Review by Hells-Ace on 1/23/2015. Review by DanWL on 3/10/2015. Review by INSIDE on 5/25/2016.